With that being said, this is what I read in November! 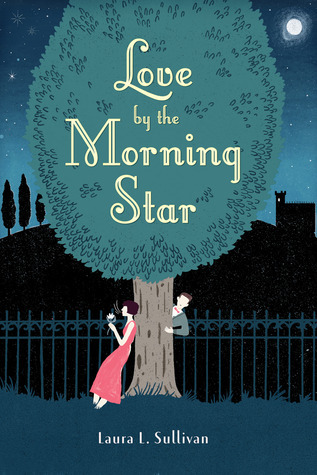 Love by the Morning Star by Laura. L. Sullivan – Upstairs, downstairs, and in which lady’s chamber? What I thought: I thought this was a cute story. It was pretty predictable, for the most part, but interesting characters made it a good read. Learn healthy ways to occupy your child while you get things done. What I thought: I reviewed this book more in a blog post here and you can read that if you’d like! 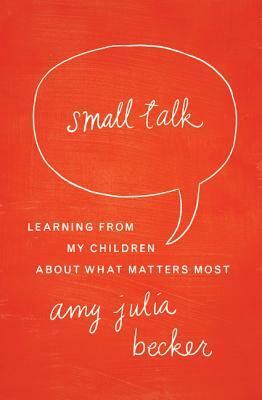 Small Talk by Amy Julia Becker – Almost every day, one of Amy Julia s children says something or asks something that prompts her to think more carefully: What lasting mean? William wonders when he hears a song about God being an everlasting God. “If the children who died went to heaven, then why are we sad? Penny asks, when she passes by a funeral for a victim of the Sandy Hook shootings. “I don’t wanna’ get ‘tized!” says Marilee about baptism. These conversations deepen her relationships with her children, but they also deepen and refine her own understanding of what she believes, why she believes it, and what she hopes to pass along to the next generation. Small Talk is a narrative based upon these conversations. It is not a parenting guide. It does not offer prescriptive lessons about how to talk with children. Rather, it tells stories based upon the questions and statements Amy Julia s children have made about the things that make life good (such as love, kindness, beauty, laughter, and friendship), the things that make life hard (such as death, failure, and tragedy), and what we believe (such as prayer, God, and miracles). What I thought: This was another book that I reviewed. There is actually a contest open on that blog post that you can win your own copy! It is going to close on December 3rd, still time to enter! Read that here. 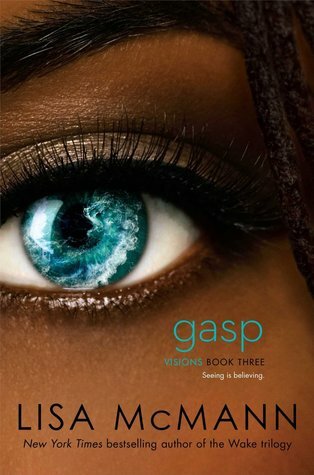 Gasp by Lisa McMann – After narrowly surviving two harrowing tragedies, Jules now fully understands the importance of the visions that she and people around her are experiencing. She’s convinced that if the visions passed from her to Sawyer after she saved him, then they must now have passed from Sawyer to one of the people he saved. That means it’s up to Jules to figure out which of the school shooting survivors is now suffering from visions of another crisis. And once she realizes who it is, she has to convince that survivor that this isn’t all crazy—that the images are of something real. Something imminent. As the danger escalates more than ever before in the conclusion to the Visions series, Jules wonders if she’ll finally find out why and how this is happening—before it’s too late to prevent disaster. What I thought: I really enjoyed this series. I thought the story line was not too ridiculous and it was interesting to see how this particular crisis played out. It was nice getting to know more of the characters too. I guess I read one more book than I originally thought, so that isn’t bad. Let me know what books you have read and loved lately. 🙂 I need to read five more by the end of the year to meet my Goodreads challenge…it is going to be close, lol.